Minister of Foreign Affairs Sven Mikser (SDE) and Sen. Elizabeth Warren (D-Mass. ), a member of the U.S. Senate Committee on Armed Services, met in Tallinn on Thursday, where they discussed cyber and defense cooperation and EU-U.S. trade relations. 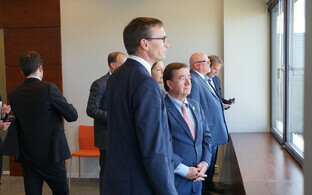 Mikser and Warren reaffirmed the good and close relations between Estonia and the U.S., and emphasized the importance of cooperation in the cyber field. "Cyberdefense has become an increasingly important part of security, and thus cooperation in this field is all the more important," Mikser said. 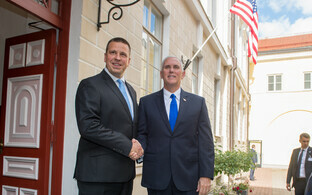 Warren also recognized Estonia's achievements in and leading role on cyber-related issues. Mikser and Warren also discussed EU-U.S. relations, including transatlantic trade, and agreed that it is important to move forward with a free trade agreement. "Everyone gains from closer trade relations, so we hope that negotiations continue," said the Estonian minister.